Beers on the waterfront, mermaids on parade, Dave Chapelle on a roof and other events we're excited about this week. Halsey has never been one to hide her emotions. At the Women's March in D.C., she delivered a powerful poem about sexual assault, and underneath the glossy production of "Bad at Love" are candid lyrics about painful past relationships. McMenamins Edgefield, 2126 SW Halsey St., mcmenamins.com/edgefield. 6:30 pm. $59.50. All ages. An Italian version of the classic Cinderella story, La Cenerentola is colorful, crowd-pleasing and accessible even to opera first-timers. In fact, it's difficult to imagine a more inviting point of entry into the world of opera. Newark Theatre, 1111 SW Broadway, portlandopera.org. 7:30 pm. Through July 28. $35-$200. 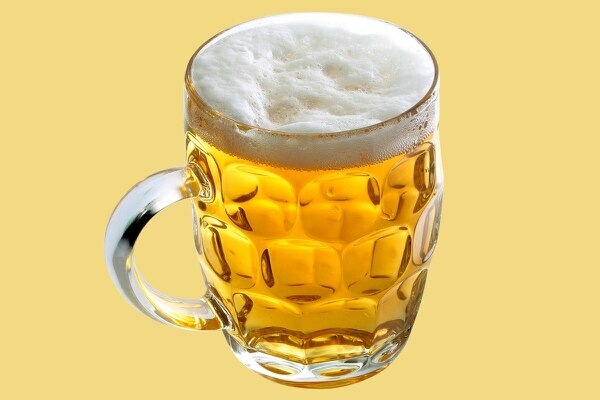 Summer in Portland is packed with beer festivals, but the Oregon Brewers Festival is the biggest and oldest, not to mention the one that supports your local independent craft brewers. Tom McCall Waterfront Park, 300 SW Naito Parkway, oregonbrewfest.com. Noon-9 pm. Through July 29. Admission is free, souvenir mug $7, tasting tokens $1 each. 21+. For the first movie in its rooftop summer series, NW Film Center is screening Dave Chappelle and Neal Brennan's stoner classic. PSU Parking Structure 2, Southwest Broadway and Montgomery Street, nwfilm.org. 7 pm. $10. By day, Mariah Parker is a commissioner for Athens-Clarke County, Ga., who took the oath of office on a copy of The Autobiography of Malcolm X. By night, she's rap queen Linqua Franca. On her new album, Model Minority, Parker showcases her effortless flow over lo-fi jazz tracks. The Fixin' To, 8218 N Lombard St., thefixinto.com. 9 pm. $8. 21+. Two Portland puppeteers team up with Polish company Teatr Figur Kraków to create a shadow puppetry tribute to avant-garde artists. Shaking the Tree Theatre, 823 SE Grant St., facebook.com/pdxpuppetcollective. 7 and 9 pm. $20. 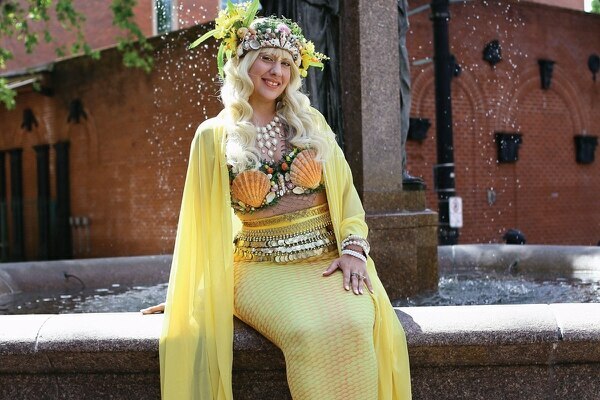 For the third year in a row, Portland's Una the Mermaid hosts her parade culminating in a mermaid swim and party at Poet's Beach. Japanese American Historical Plaza, Northwest Naito Parkway and Couch Street, portlandiamermaidparade.com. Noon. Free. All ages. B-movie scream queen Linnea Quigley has been in everything from The Return of the Living Dead to Hollywood Chainsaw Hookers. She's coming to the Hollywood for a post-screening Q&A on the 1988 cult horror classic about teens who decide to throw an ill-fated party in a morgue. Hollywood Theatre, 4122 NE Sandy Blvd., hollywoodtheatre.org. 7 pm. $15. Featuring over 120 vendors and spanning two days, the 18th annual Portland Zine Symposium is an overflowing cornucopia of DIY publishing. Wattles Boys & Girls Club, 9330 SE Harold St., portlandzinesymposium.org. 11 am-6 pm. Starts July 28. Free. All ages. You may have seen a few members from Latinx femme DJ collective Noche Libre spinning fire every third Thursday at Dig A Pony. But this Saturday, they're making their official debut with a taco- and piñata-filled celebration of Latin American music. Chapel Hill, 4380 SE Hawthorne Blvd., chapelhillpdx.com. 2-10 pm. $7-$10 suggested donation. 21+. 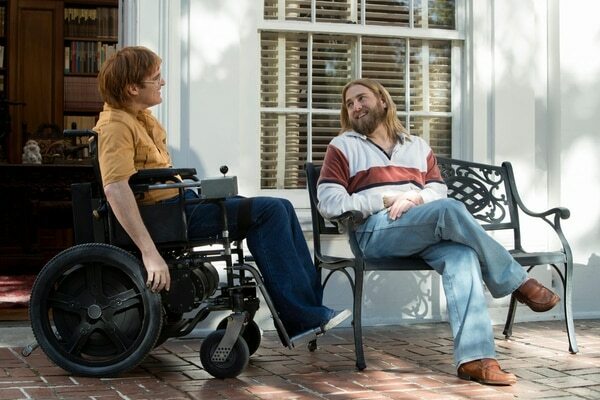 Decades in the making, Gus Van Sant's biopic of irreverent Portland cartoonist John Callahan finally has a national release. It finds a mixture of sweetness and grit that feels like classic Van Sant—or, at least, the closest thing to it we've had in a while. Cinema 21, Hollywood Theatre. Showtimes vary. Jaren George's monthly comedy showcase delivers unabashed feel-goodery and solid standup. The seventh edition includes six comics who hail from both coasts. White Owl Social Club, 1305 SE 8th Ave., whiteowlsocialclub.com. 9 pm. $5 suggested donation. 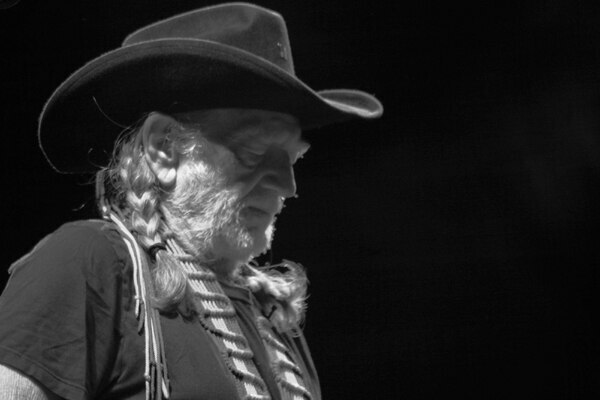 Sixty-seven albums into his career, it doesn't seem like Willie Nelson plans on slowing down anytime soon—last week, the 85-year-old country legend released a swinging, melancholic single from his forthcoming Frank Sinatra tribute album. McMenamins Edgefield, 2126 SW Halsey St., mcmenamins.com/edgefield 6:30 pm. Sold out. All ages. Portland's Human Ottoman fuses the unlikely combination of vibraphone, cello and drums. Their music sounds like a fever dream, and their live shows are loud, irreverent, and bursting with life. Doug Fir Lounge, 830 E Burnside St., dougfirlounge.com. 9 pm. $10. 21+.